We designed a custom fitting to make it easier to install inputs and outputs to your kettles with a good seal and great looks. 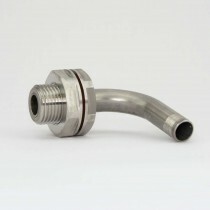 These fittings are haudrically pressed onto our HERMS coils and kettle inlets and outlets in the Netherlands. 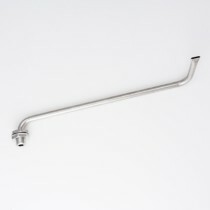 The fittings on our dip tubes, inlets and Lauterhexe all fit through a 21mm hole. We recommend buying a 21mm Q.MAX hole punch. 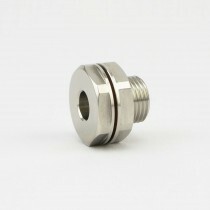 Our fittings are designed for standard size 212 O-rings in both the fitting and the locknut. 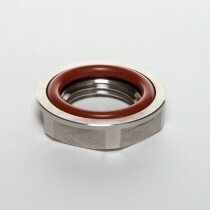 The inner diameter of that O-ring is 21.82mm, so it will stay well away from the hole. 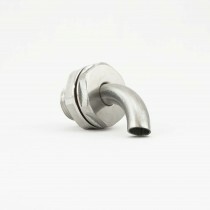 Once installed, the O-ring is hidden and protected by stainless steel, for a durable seal.